KE00030 is a solid phase sandwich Enzyme Linked-Immuno-Sorbent Assay (Sandwich ELISA). 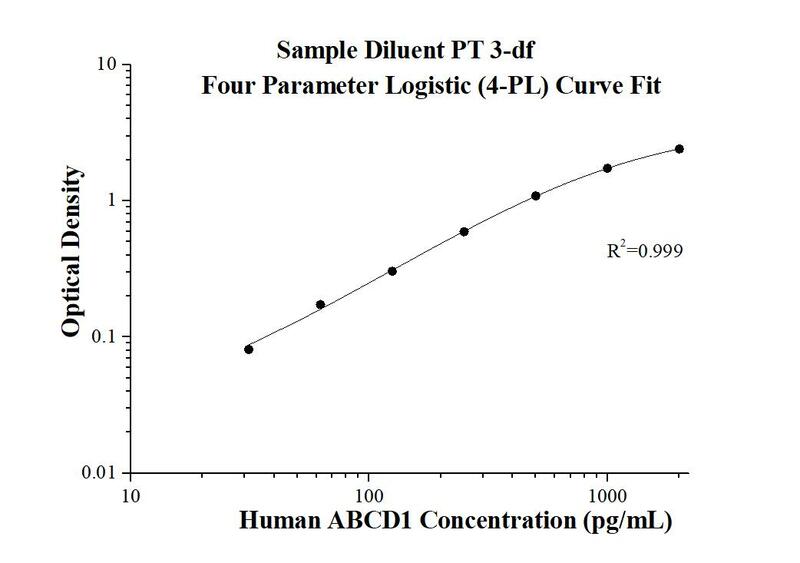 The ABCD1 ELISA kit is to be used to detect and quantify protein levels of endogenous ABCD1. The assay recognizes human ABCD1. A polyclonal antibody specific for ABCD1 has been pre-coated onto the microwells. The ABCD1 protein in samples is captured by the coated antibody after incubation. Following extensive washing, a monoclonal antibody specific for ABCD1 is added to detect the captured ABCD1 protein. For signal development, horseradish peroxidase (HRP)-conjugated antibody is added, followed by Tetramethyl-benzidine (TMB) reagent. Solution containing sulfuric acid is used to stop color development and the color intensity which is proportional to the quantity of bound protein is measurable at 450nm with the correction wavelength set at 630 nm. ABCD1, also known as adrenoleukodystrophy protein (ALDP), is a member of the ATP-binding cassette (ABC) transporter superfamily. ALDP is a multi-pass membrane protein and localized at peroxisome membrane. Various mutations of ABCD1 gene cause X-linked adrenoleukodystrophy (X-ALD), an inherited neurodegenerative disease affecting the nervous system white matter and adrenal cortex. It results in mental deterioration, corticospinal tract dysfunction, and cortical blindness. ALDP is supposed to function as a homodimer allowing the entry of CoA-esters of very-long chain fatty acids into the peroxisome, the unique site of their β-oxidation. 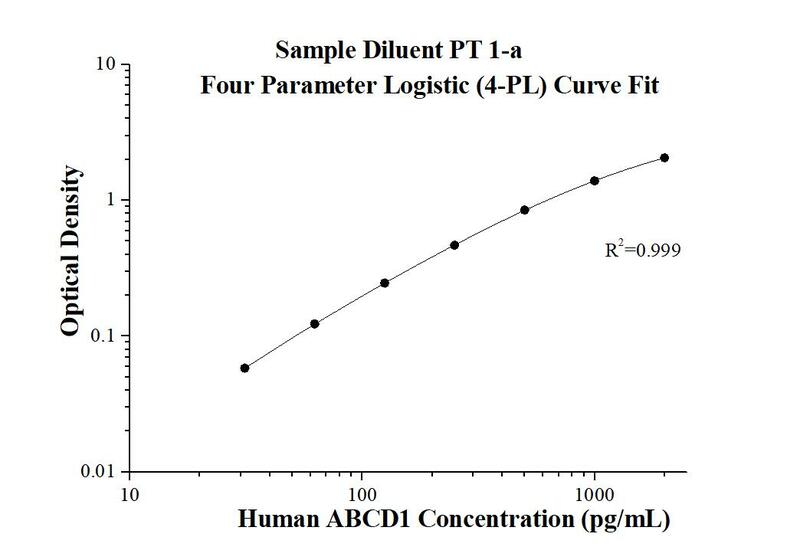 However, the defined function of ALDP has not been well investigated so far.